1. Monkeys can't see they forest for the trees. 2. Flatter Monkeys and they may do great things. 3. Monkeys are clever with their hands and good imitators. 4. Monkeys are restless animals of action. 5. Monkeys move easily when given instructions. 6. Monkeys are a cheerful life of the party. 7. Monkeys try hard if small change is involved. 8. Monkeys are a bit goofy. 9. Monkeys are trusting and easily deceived. 10. Monkeys are curious and want to improve themselves. 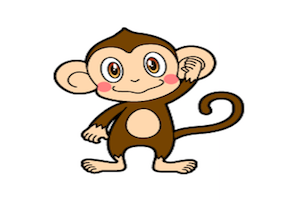 People born in a year of the Monkey are witty, intelligent, and have a magnetic personality. Personality traits, like mischievousness, curiosity, and cleverness, make them very naughty. Monkeys are masters of practical jokes, because they like playing most of the time. Though they don't have any bad intentions, their pranks sometimes hurt the feelings of others. 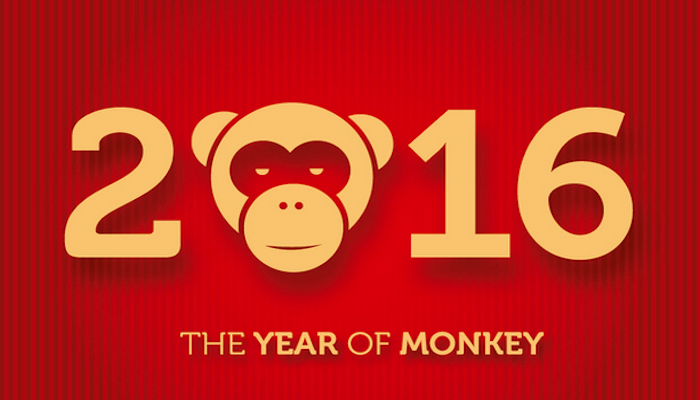 Those born in a year of the Monkey are fast learners and crafty opportunists. They have many interests and need partners who are capable of stimulating them. While some like the eccentric nature of Monkeys, some don't trust their sly, restless, and inquisitive nature. Usually monkeys are very healthy creatures, partly due to their active lifestyles, and wanting to experience the flavors of life. If they do experience illness, it is usually of the nervous or circulatory system. When it comes to careers, Monkeys do work very hard. They can adapt to different working environments. Good career choices for monkeys are accounting and banking, science, engineering, stock market trading, air traffic control, film directing, jewelry, and salesmanship. In relationships Monkeys are not very quick in settling down, as they tend to be promiscuous and are easily bored. However, once Monkeys get a perfect partner, they commit to him/her in every possible way. Since Monkeys love to talk and are sociable, they can be communicated with easily.